Fr. 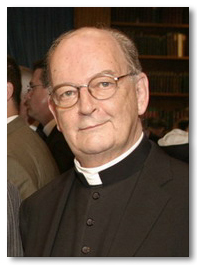 Richard Neuhaus, well-know convert from Lutheranism and editor of First Things Magazine, died today of cancer. He was a champion of intelligent Christianity, of cultural involvement, in defending human life and a staunch promoter of the orthodox Catholic faith. He will be missed. Fr. Neuhaus left behind a great body of work for us. I commend his book “Death on a Friday Afternoon” to everyone. Many of his writings are on firstthings.com. Sad day for us, not for him. Previous post: Want to See the REAL Shroud?